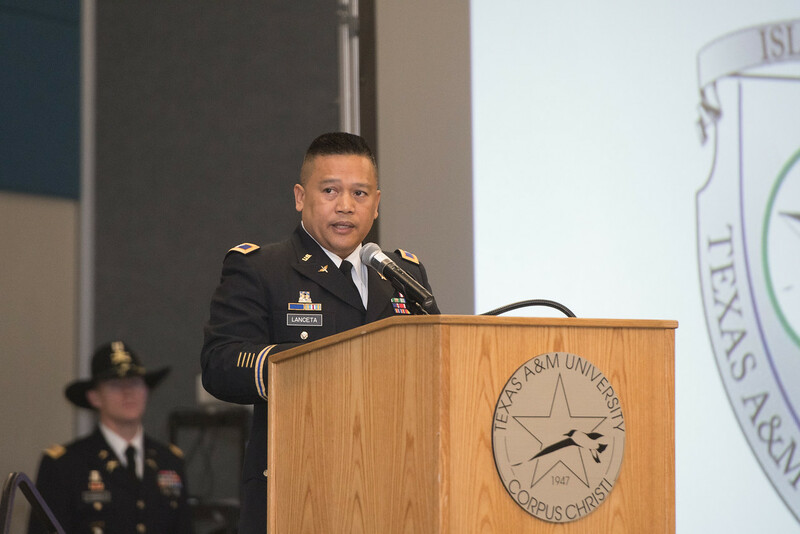 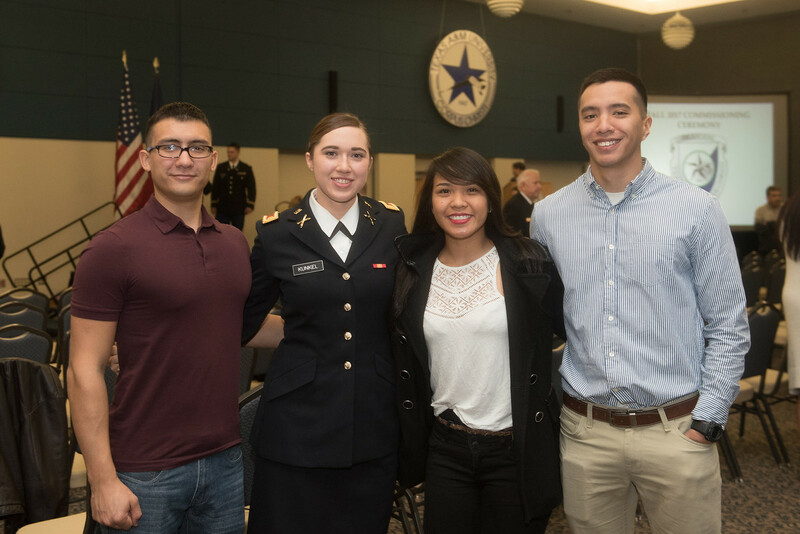 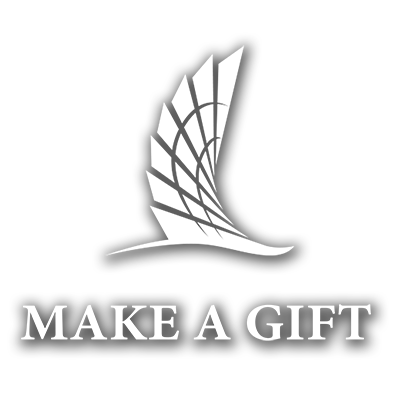 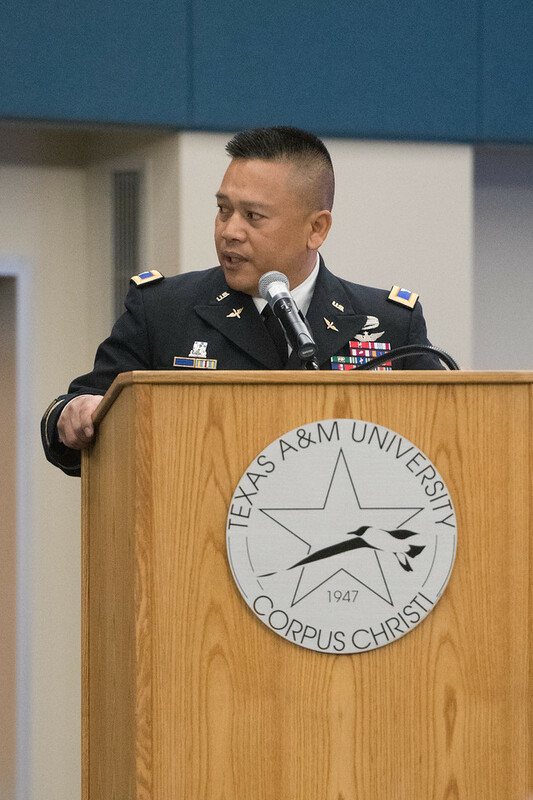 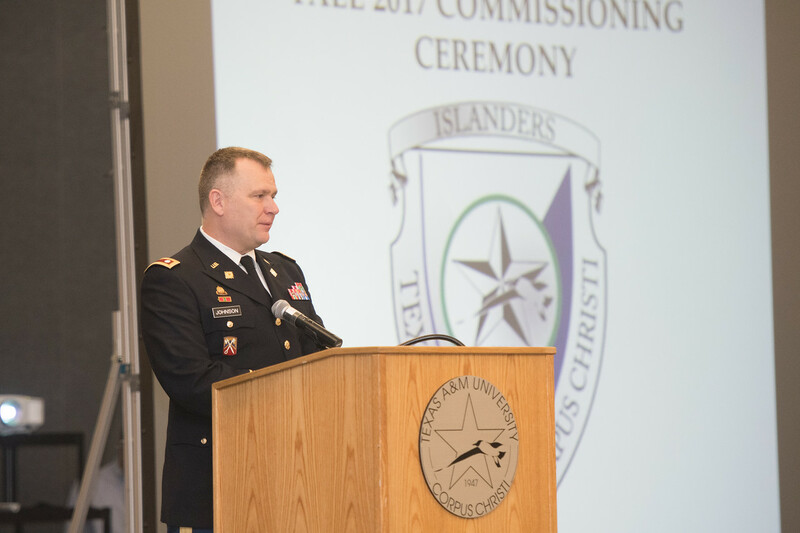 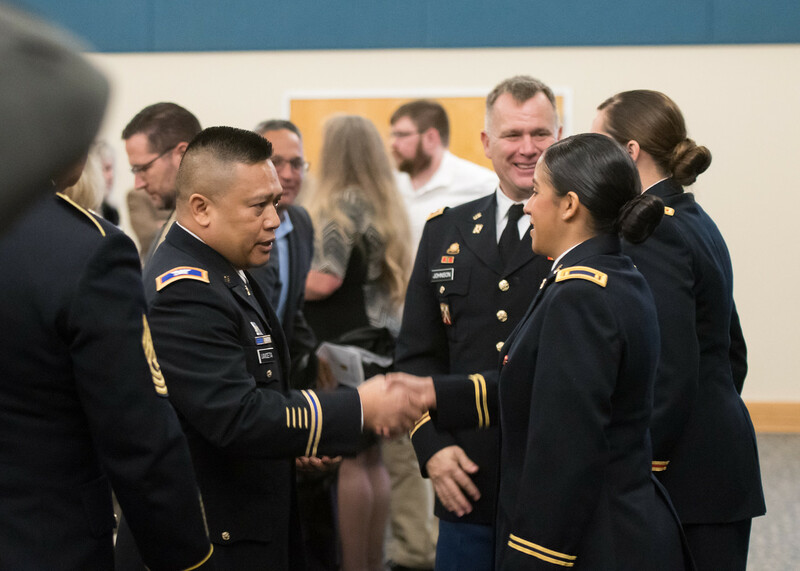 CORPUS CHRISTI, Texas – Texas A&M University-Corpus Christi Army ROTC continues honoring and recognizing the effort and service of its Islander Battalion cadets. 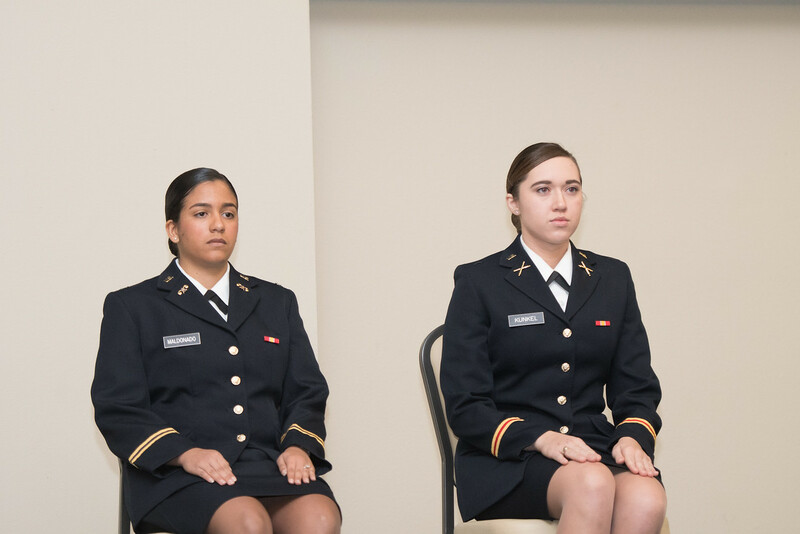 Following tradition, two new officers were proudly commissioned for their success in ROTC. 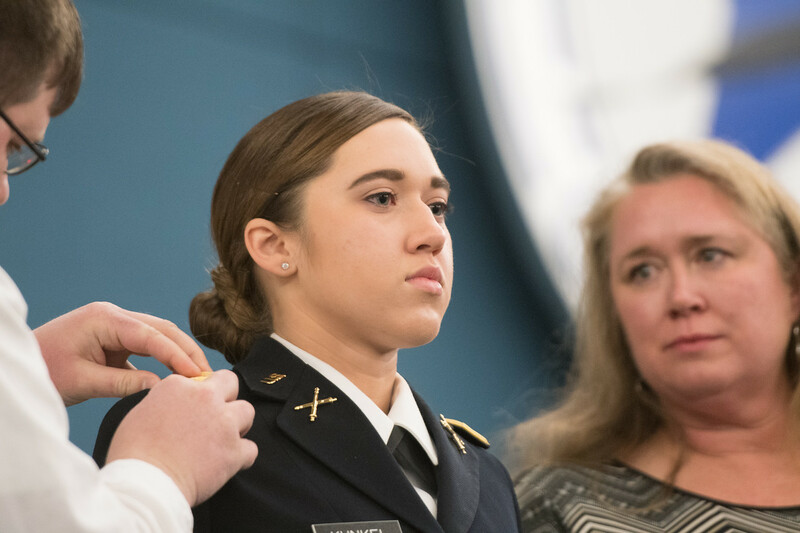 The ceremony is a milestone for the ROTC graduates who make the transition from United States Army Cadet to Second Lieutenant. 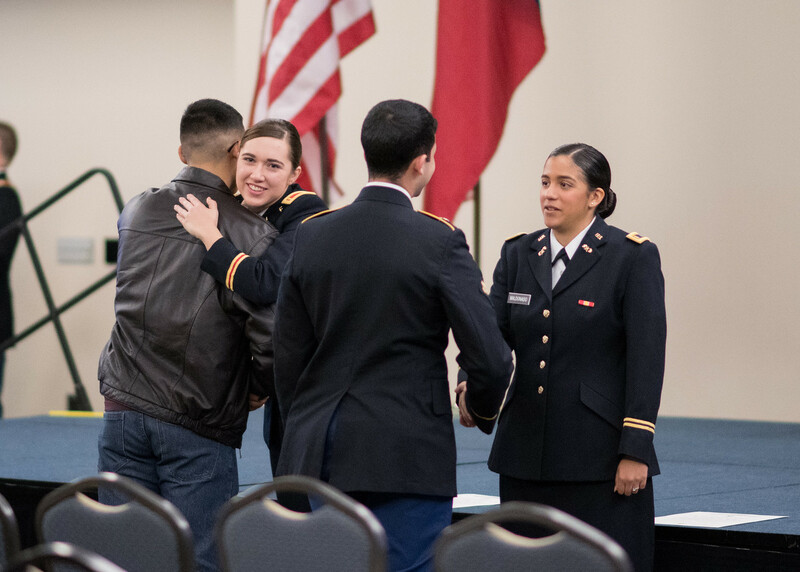 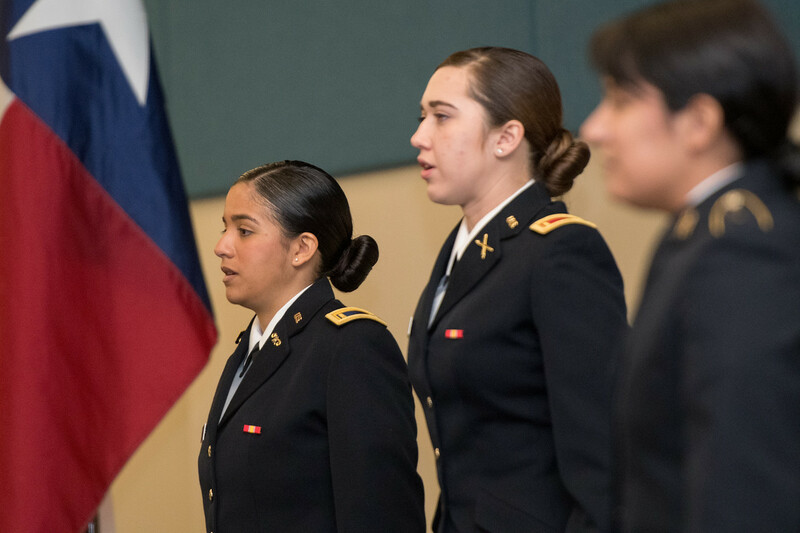 Since 1951, more than 170 cadets with affiliation to South Texas ROTC programs, including the Islander Battalion, have been commissioned to officer rank. 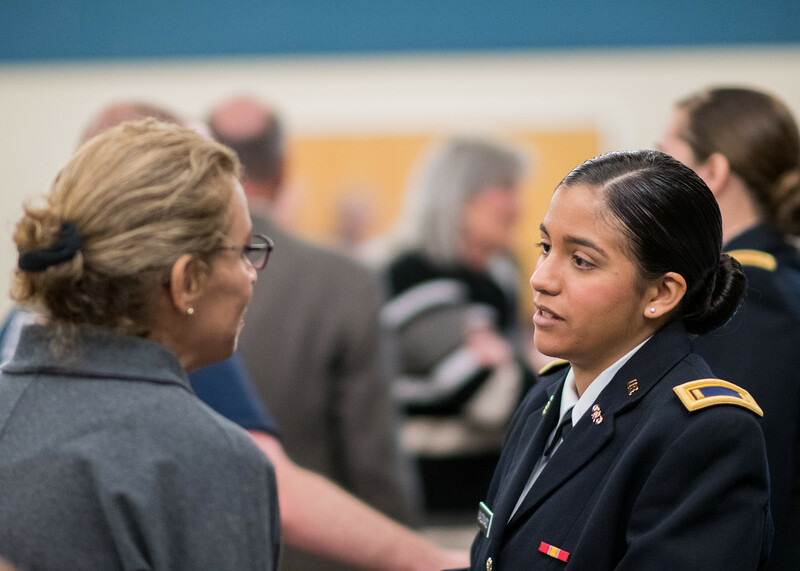 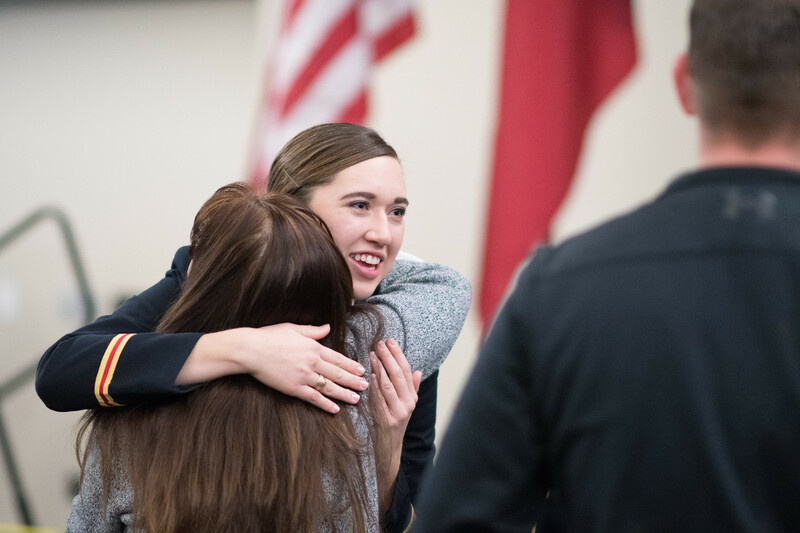 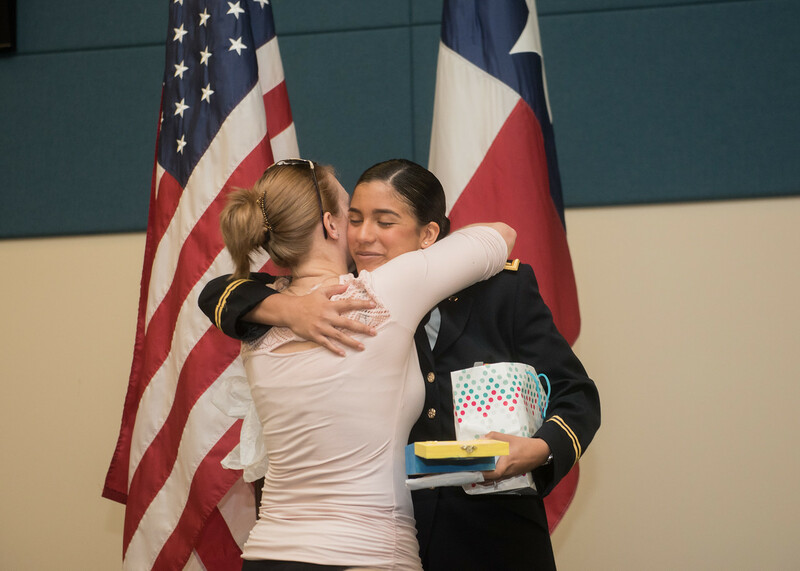 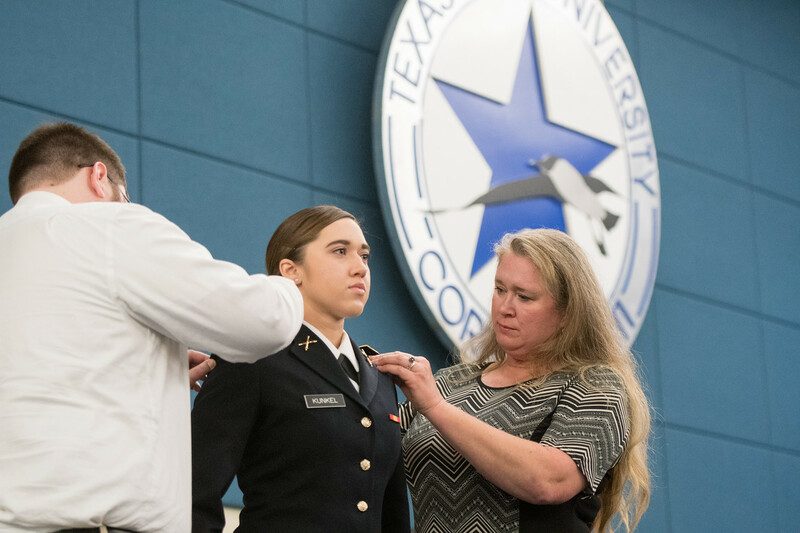 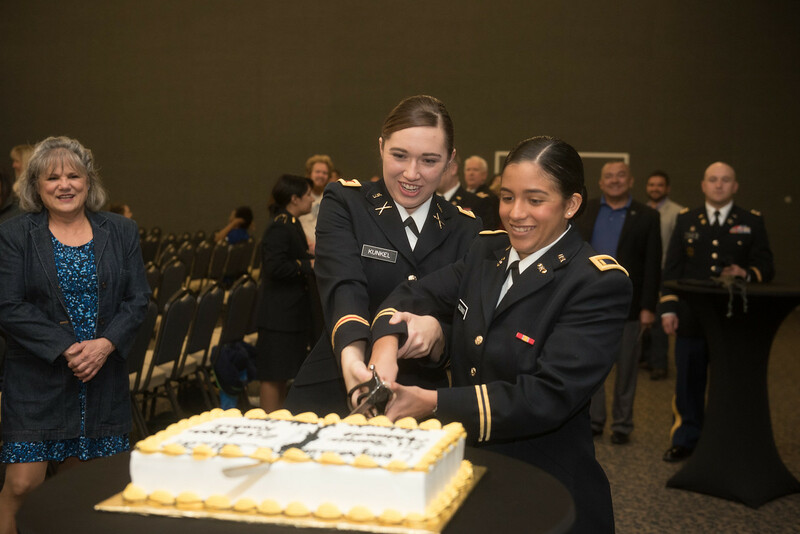 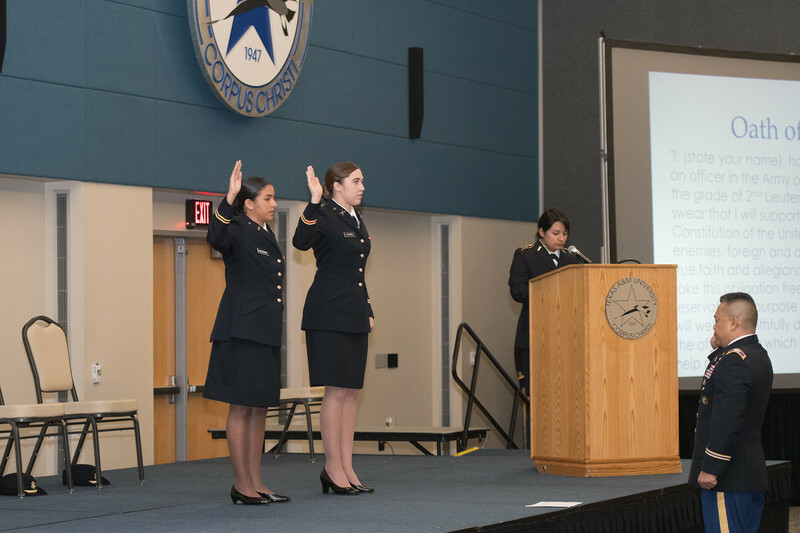 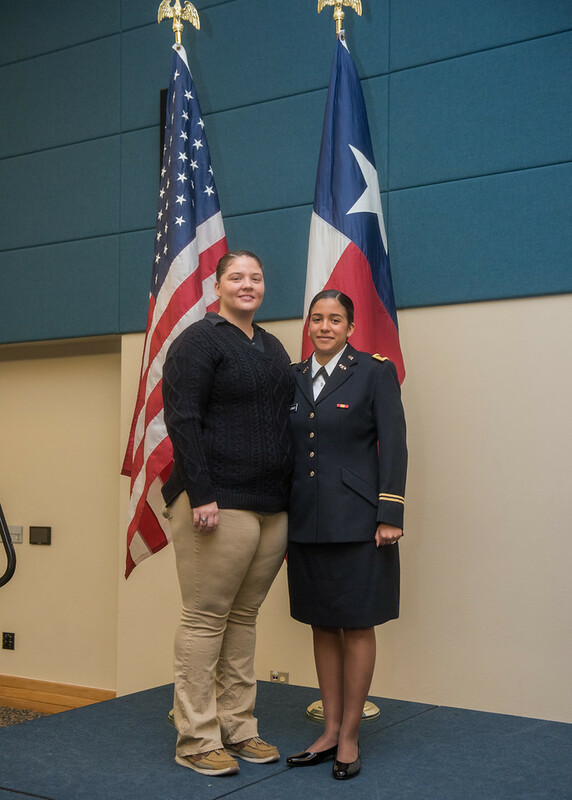 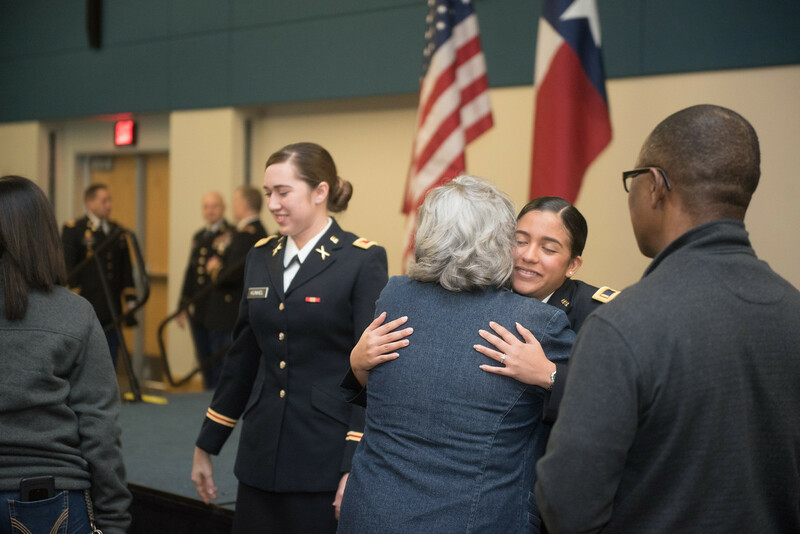 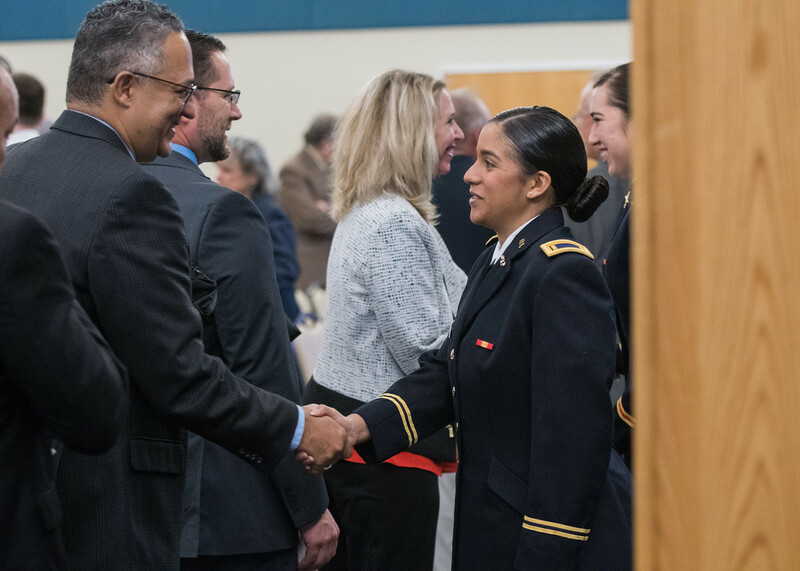 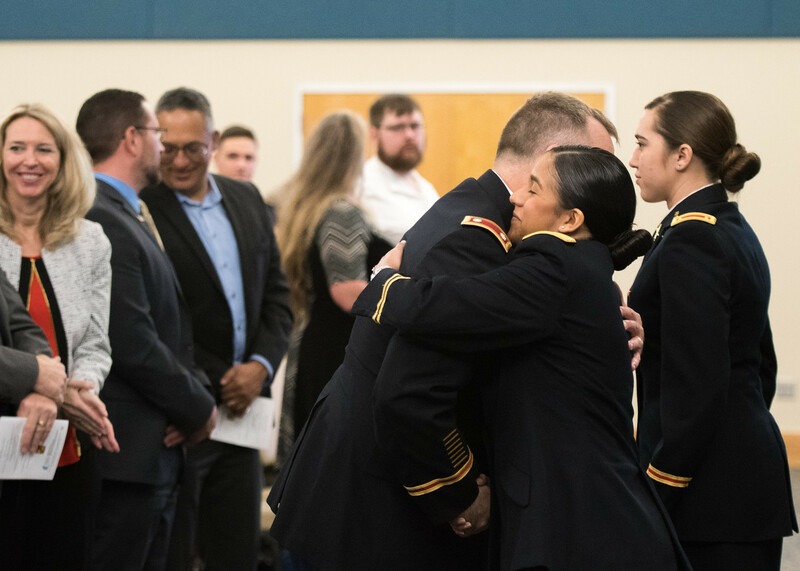 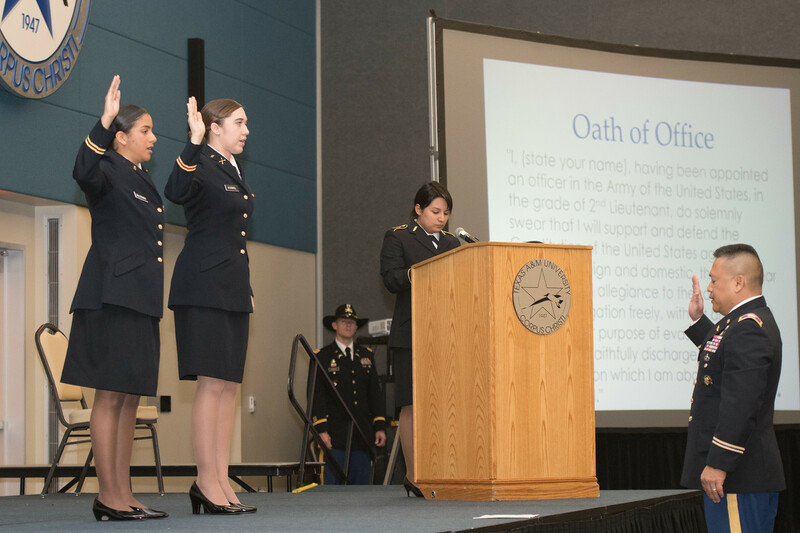 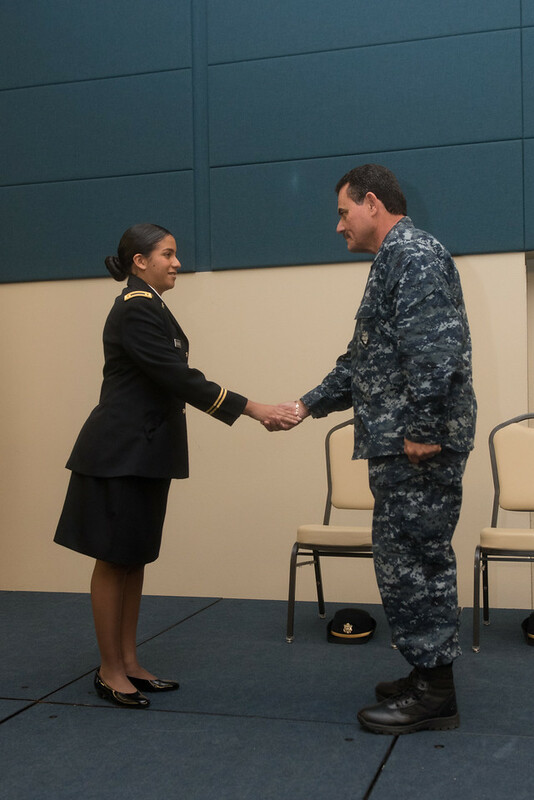 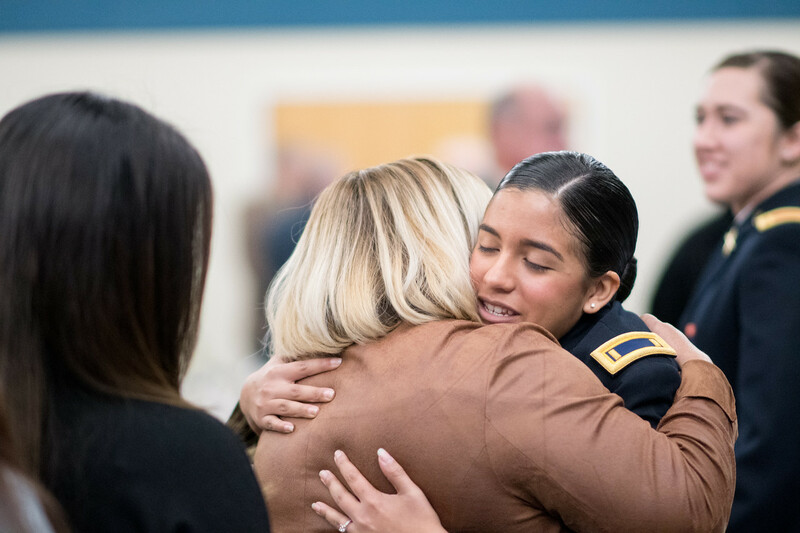 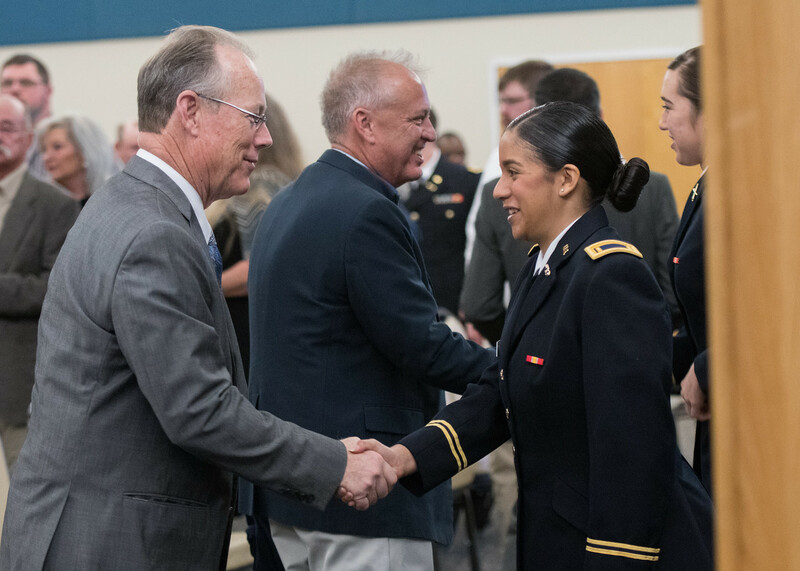 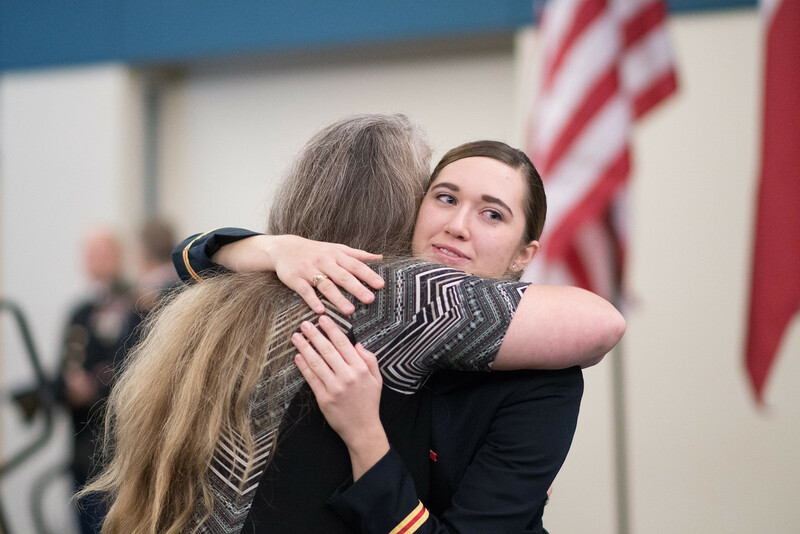 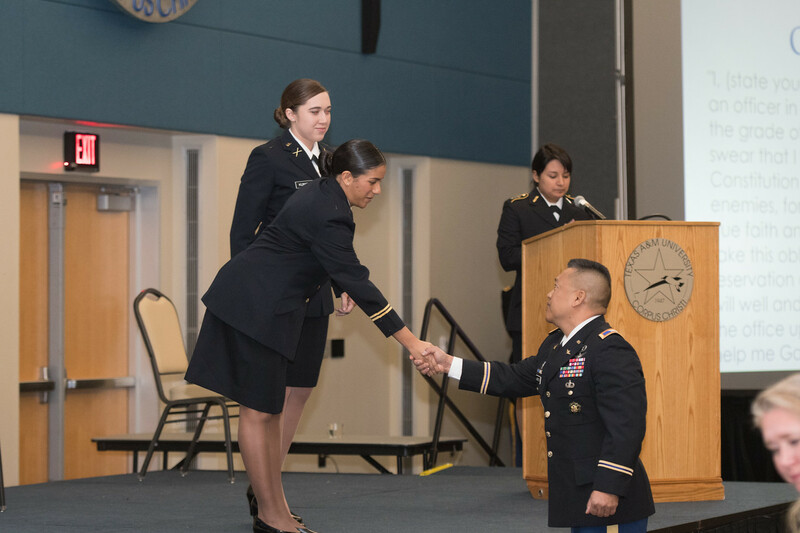 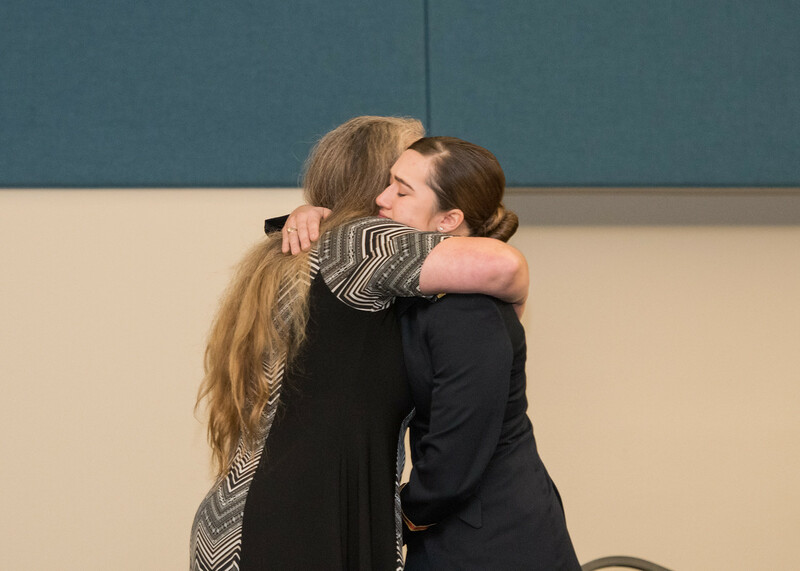 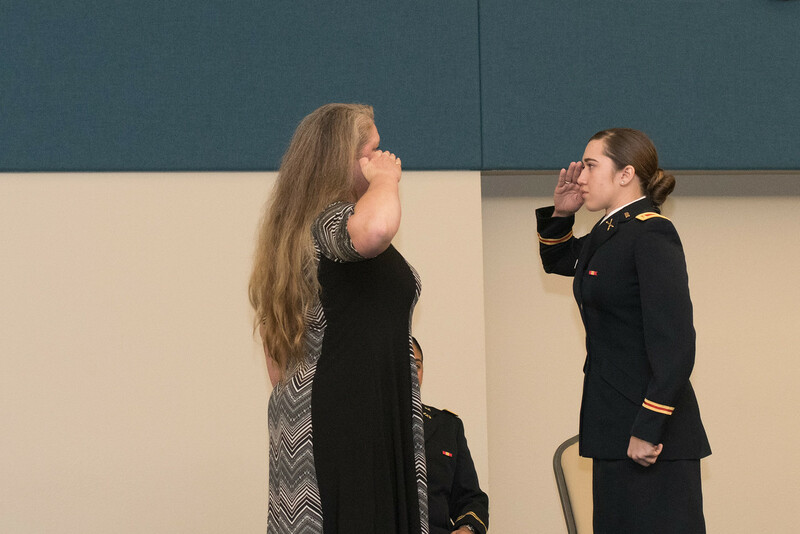 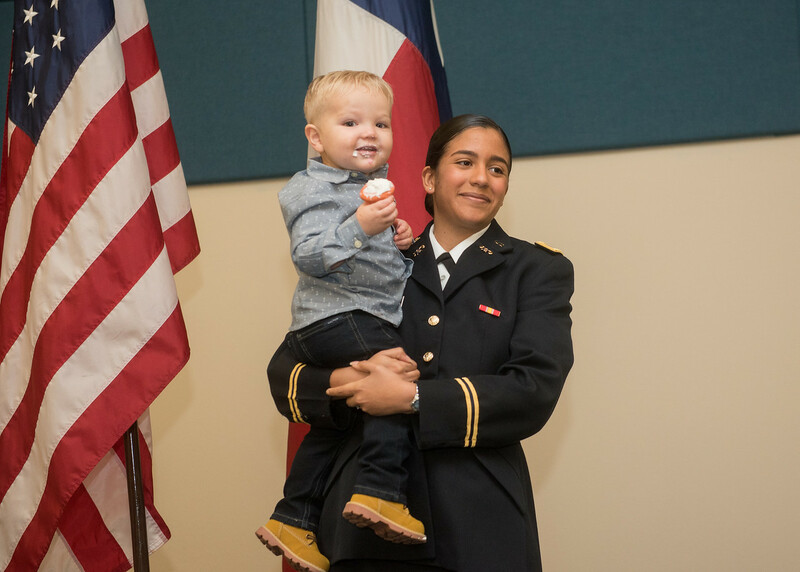 Those commissioned on Dec. 15 were Frances Maldonado and Sierra Kunkel, who were accompanied by instructors, family members, fellow cadets and mentors. 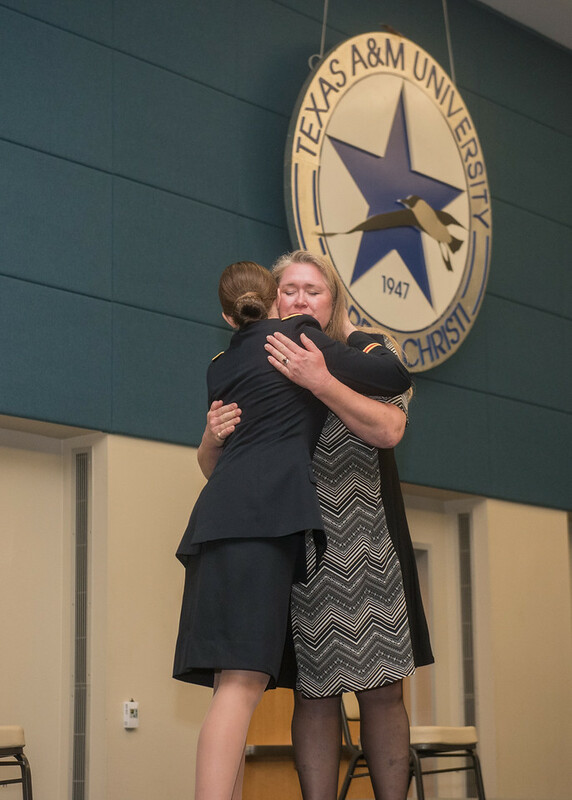 The ceremony included the traditional pinning of lieutenants’ bars by Maldonado and Kunkel’s loved ones. 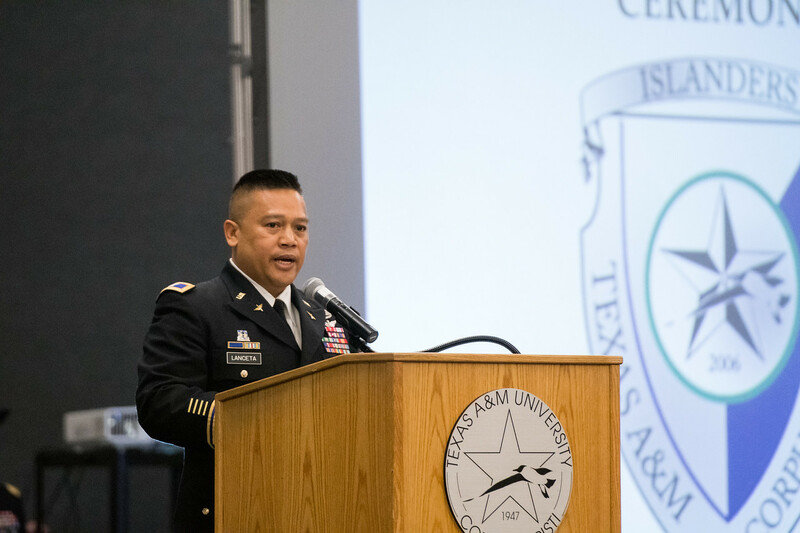 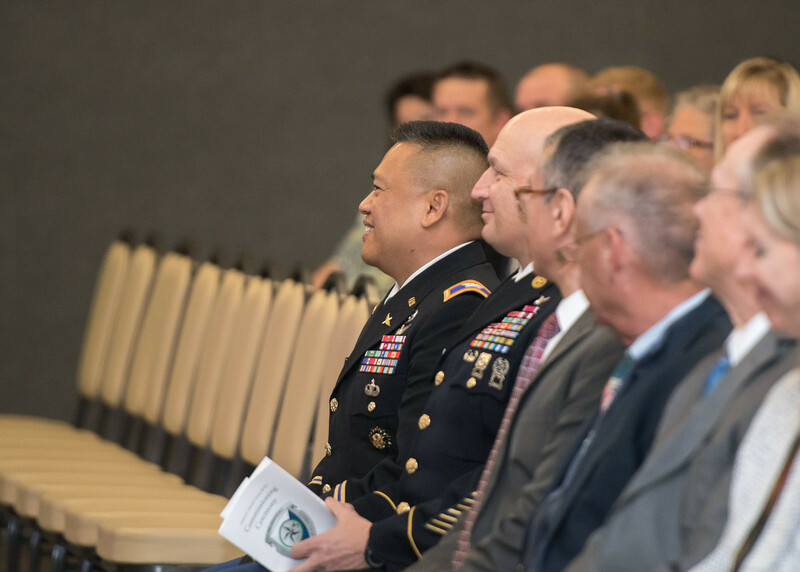 In addition, the new officers presented a sterling silver dollar to the first enlisted soldier who salutes them in remembrance of the symbolic “Silver Dollar Salute.” Colonel Allan H. Lanceta, Commander of the Corpus Christi Army Depot, was the ceremony’s guest speaker. 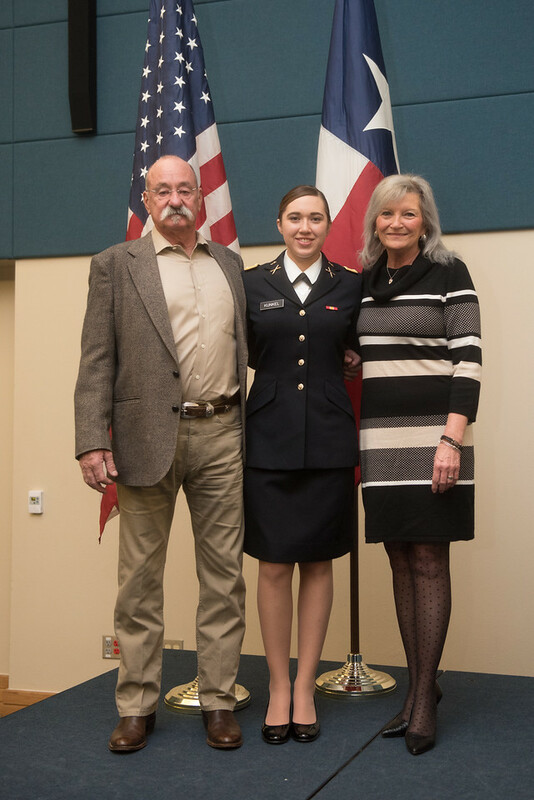 Kunkel earned a Bachelor of Business Administration in Accounting on Dec. 16, during the fall 2017 Commencement Ceremony. 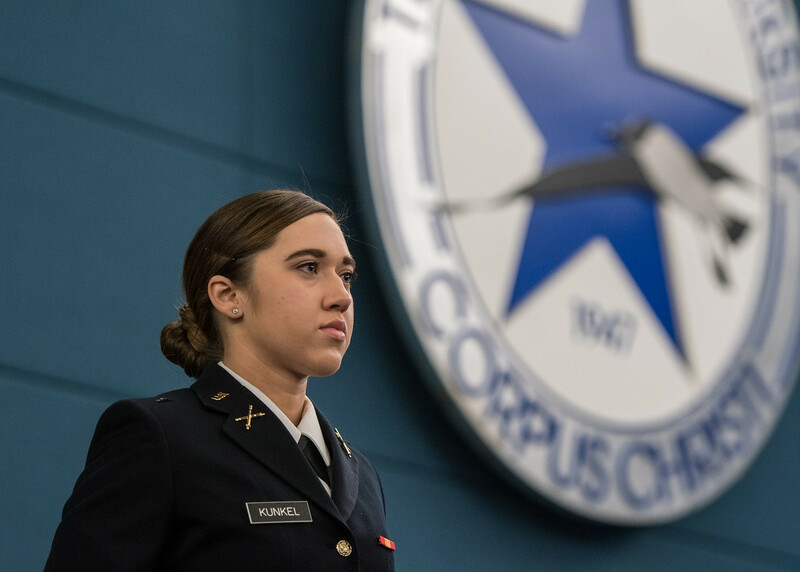 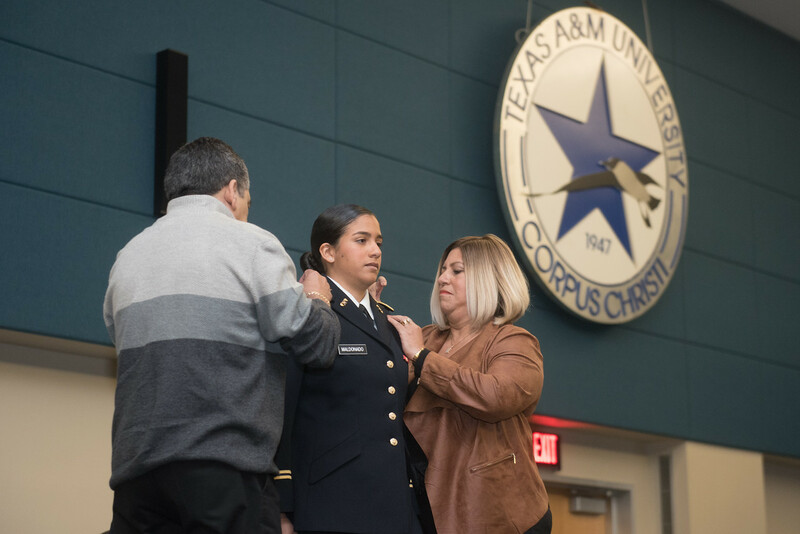 “I chose Texas A&M-Corpus Christi because I liked the small class sizes, the great ROTC program, and the friends that have become family,” said Kunkel. 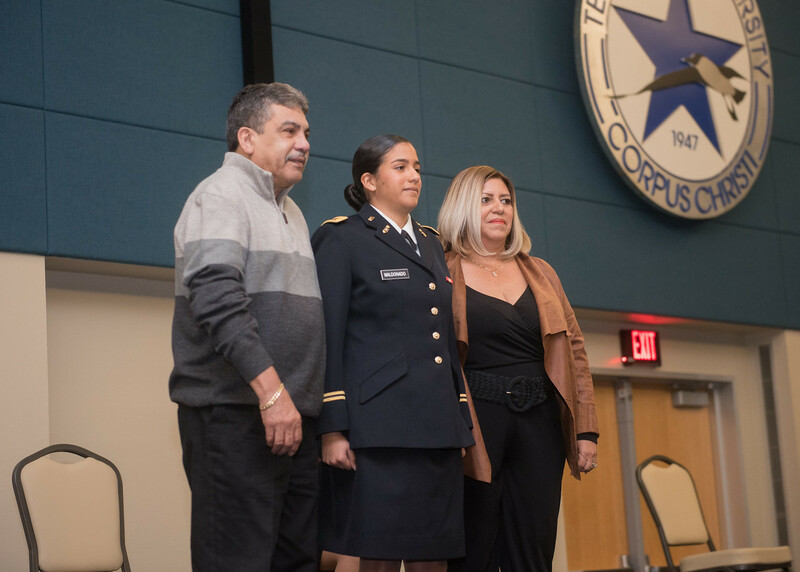 After graduation, she plans to expand her education while in the Army and start master’s courses in forensic accounting. 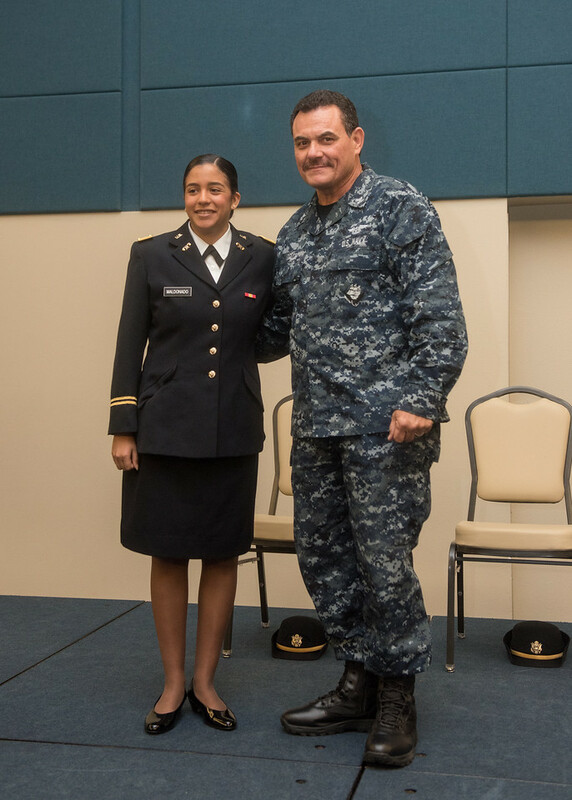 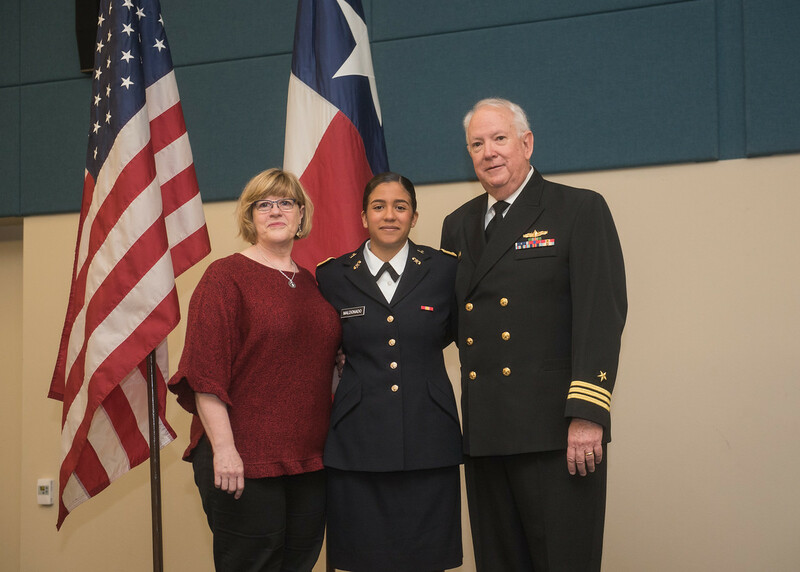 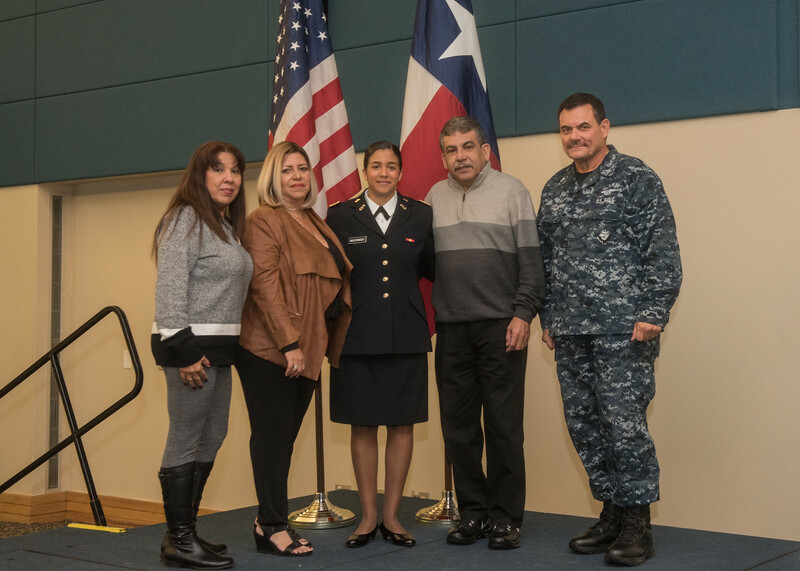 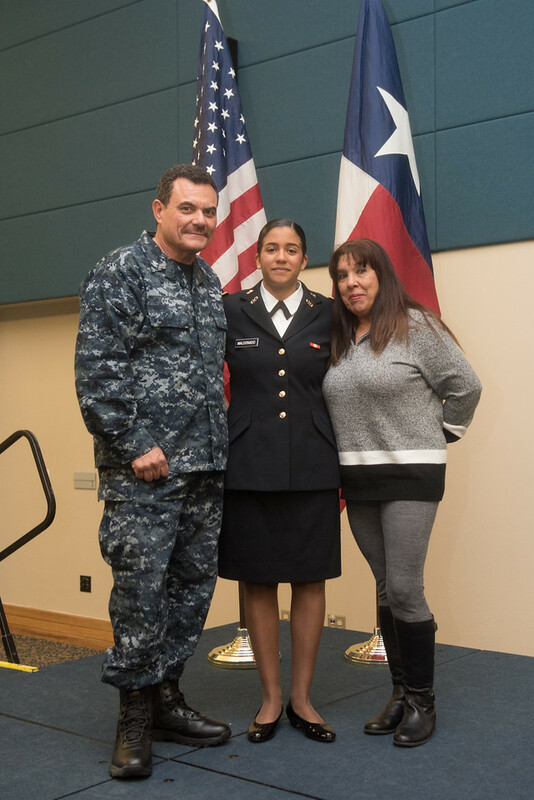 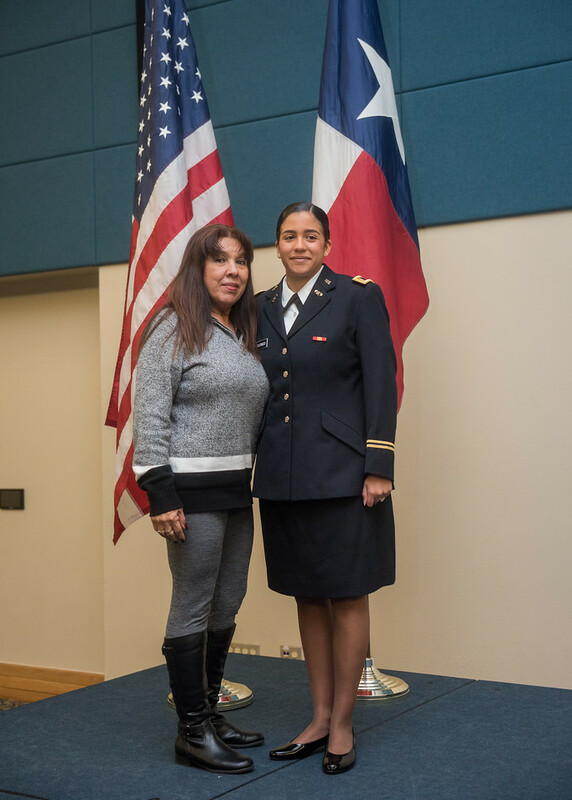 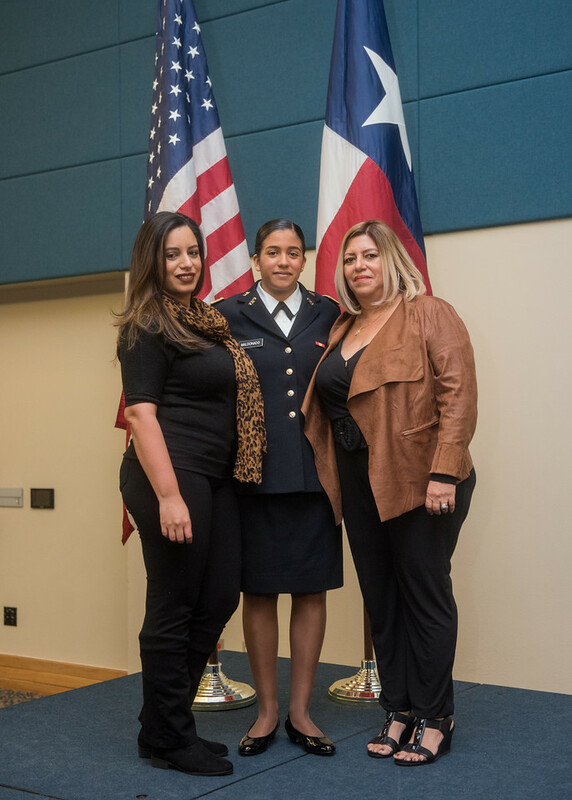 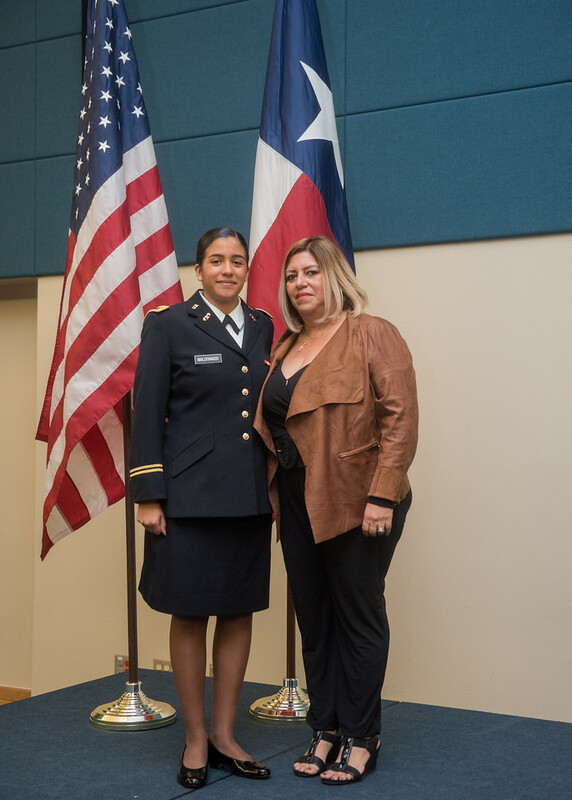 Maldonado, a native of San Antonio, received a four-year National ROTC scholarship for her hard work and determination. 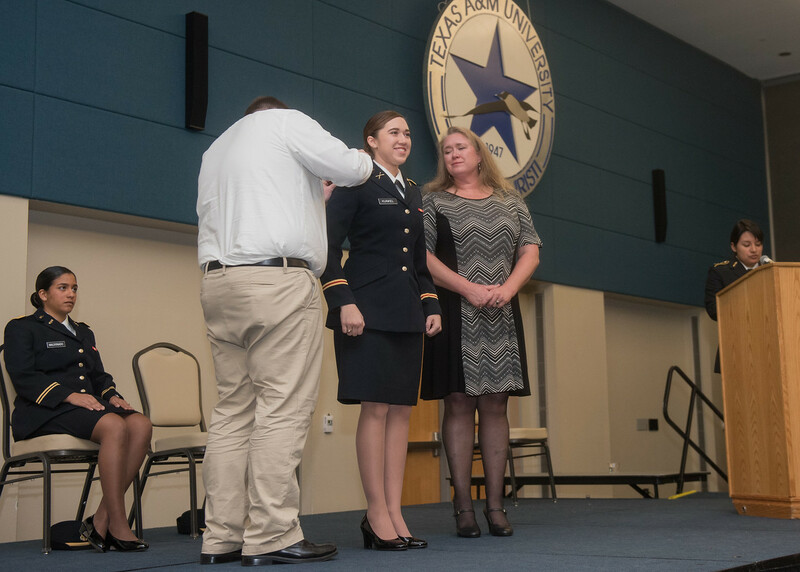 Like Kunkel, she also graduated this semester with her Bachelor of Science in Biomedical Sciences with an emphasis in Forensics. 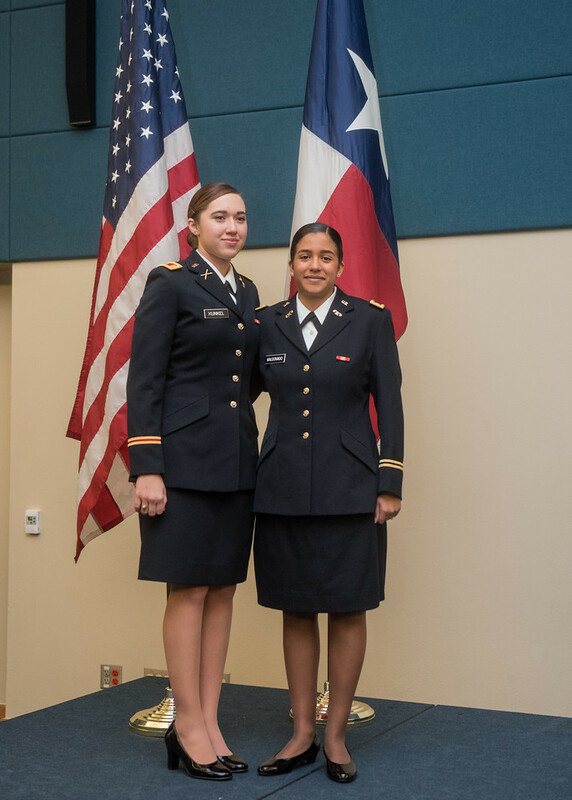 Both new second lieutenants engaged in various leadership and staff positions during their time in the Island University ROTC Army Battalion. 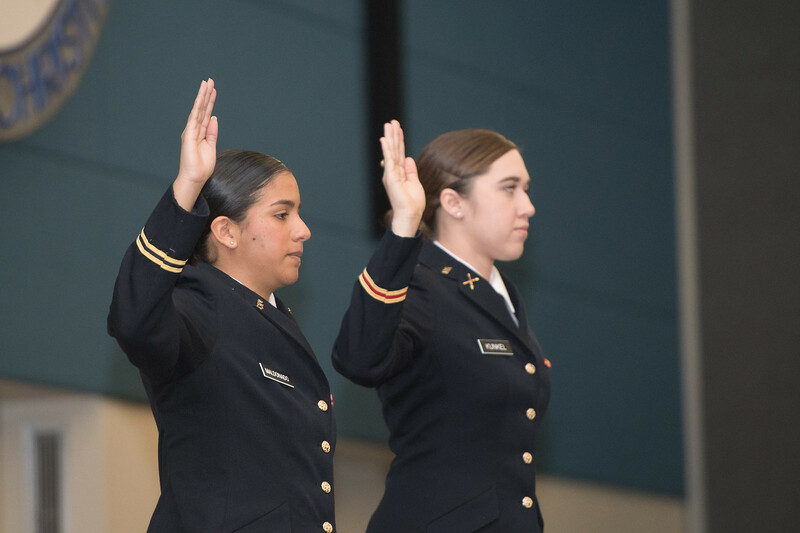 Now, Kunkel and Maldonado will enter into Basic Officer Leader Course, a two-phased training course designed to produce commissioned officers in the U.S. Army.